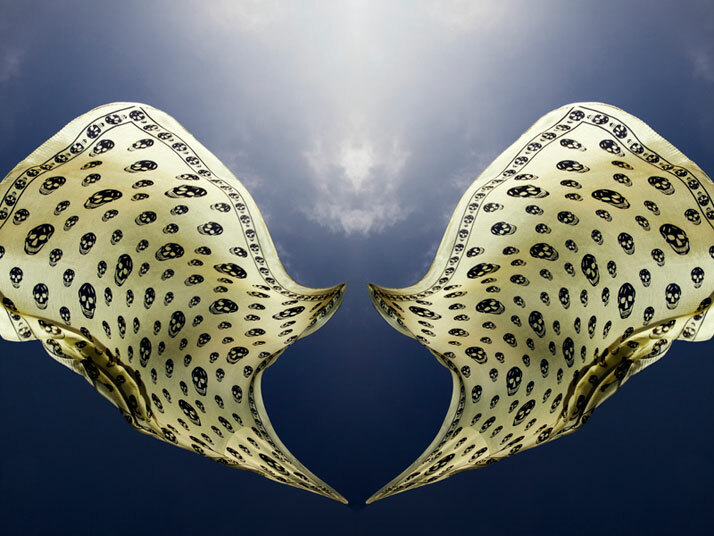 The fateful death of Alexander McQueen comprised for many an inspiration, an irrepressible force to create on the name of the remarkable craftsman. 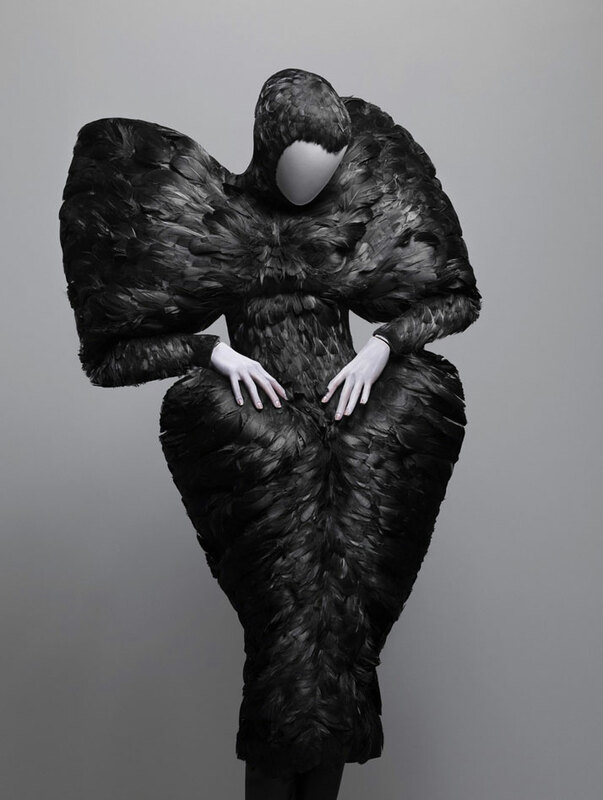 Today, alongside the ragingly popular Alexander McQueen ''Savage Beauty'' exhibition at the MET Museum in New York (4 May - 7 August 2011), Yatzer presents us the video- acoustic work of Babette Pauthier ‘God Save McQueen’. Director: Babette Pauthier // Cinematographer : Benoit Soler // Editing and Compositing : Edouard Mailaender // Color Grading : Moshé Dichi // Assistants : Robert Outch and Matt Cutts // Music : Anonyme – Confitemini Domino (1), Vincent Dumestre // Lighting : Prolighting // Studio : The Second Floor // All fashion by Alexander McQueen. 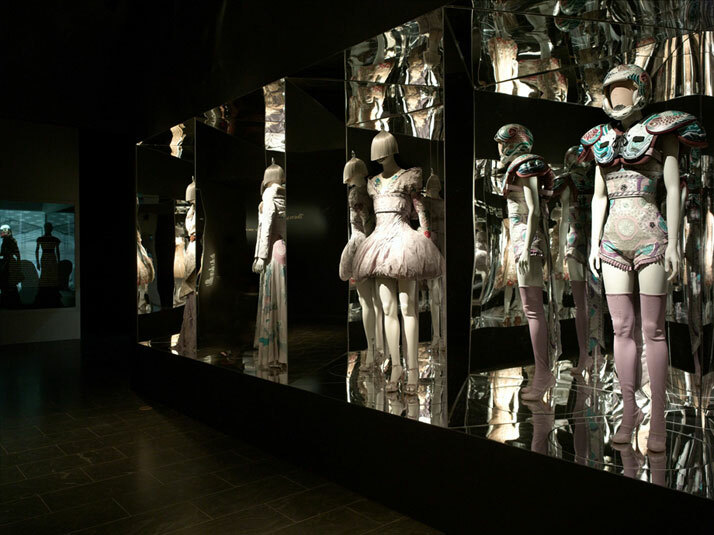 When ''Savage Beauty'' exhibition in New York was announced, I believe it derived to all of us a mix of diverse feelings. Personally, my first reaction was to be reminiscent of the tragic event of February 2010. This was subsequently followed by a feeling of joy due to the thought that a great opportunity is given to the people, to witness a complete collection of art pieces by one of the greatest craftsmen of our times. Of course the New Yorkers and visitors have one more reason to be pleased, as the exhibit has been extended in order to accommodate even more spectators. Alongside this, a number of other McQueen-dedicated projects have been emerging as tributes to the great talent of his. The ‘Savage Beauty' ‘of Alexander McQueen at the MET, the numerous articles and praises published since his death, the products honoring his name and work, and also the ‘God Save McQueen’ project presenting you here, all constitute a celebration to life and the designer’s extraordinary contribution to fashion and art, rather than dwelling death. Babette Pauthier , the director of this week's V.O.W., was born and raised in Paris. After graduating from l’Ecole Estienne and les Arts Decoratifs de Paris, she moved to East London in 2003, which made the debut of her career. 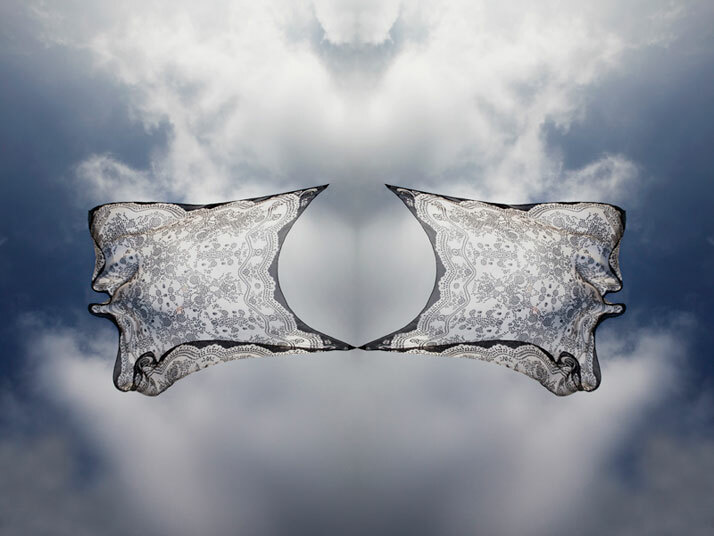 Babette’s scope of work spans from fashion to portraiture and landscapes. She has collaborated with major names in fashion, some including Burberry, Elle UK, WAD, Double, Vague Paper, Vice, Sang Bleu, Diva, Intersection, Dazed, and Undercurrent whereas at the side of her freelance work, she also lectures Photography and Fine Art. 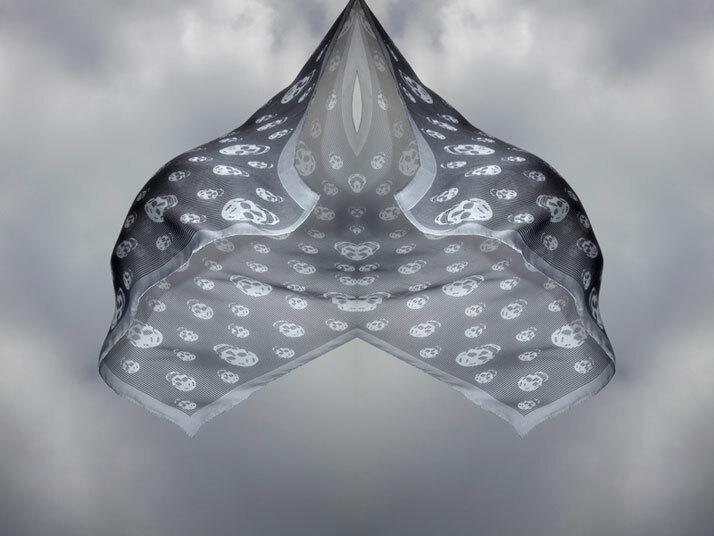 The ‘God Save McQueen’ video constitutes one part of a double-element project produced by Babette Pauthier, in honor of Alexander McQueen. 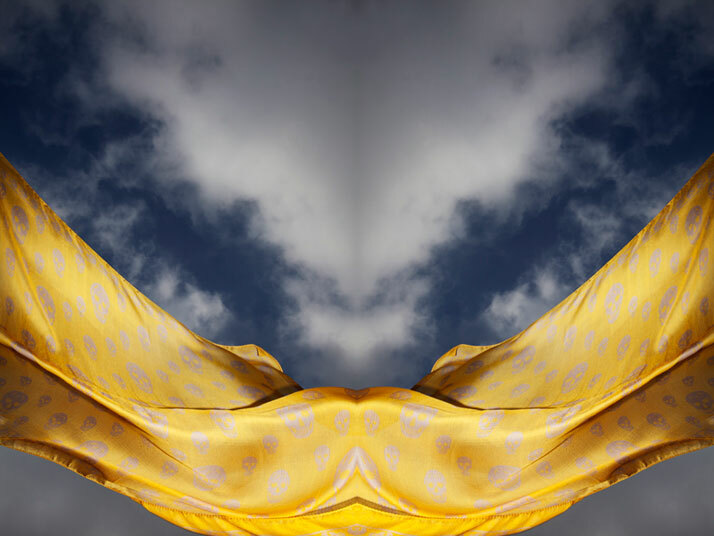 The second part of the project is made up of a series of still-life photo shoots of McQueen’s famous foulards (also used in the video), shot in such a manner so as to convey the contrasting opposites, always symbolized by McQueen through his work. The video uses a combination of appropriate motioned pictures and sound so as to match McQueen’s often Gothic mood. 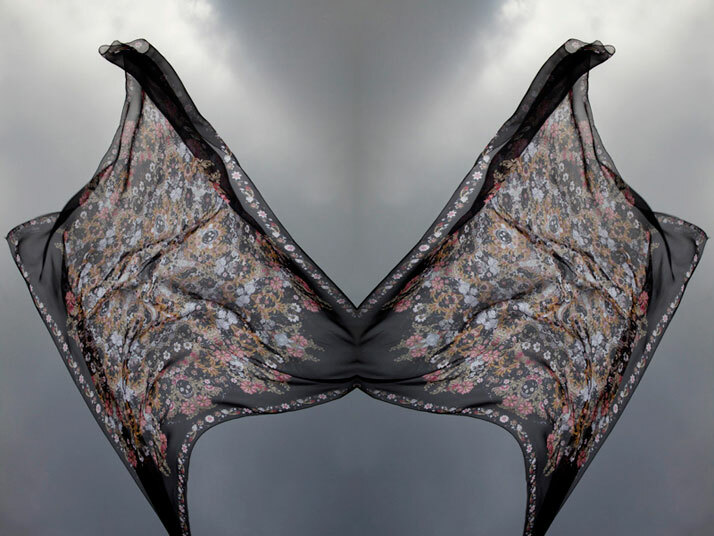 The movement appearing in the video, the colors of the scarves against the deadly black background, accompanied by this particular music, mostly some sort of eulogy, create an outcome very alike to the designers’ original inspirations.